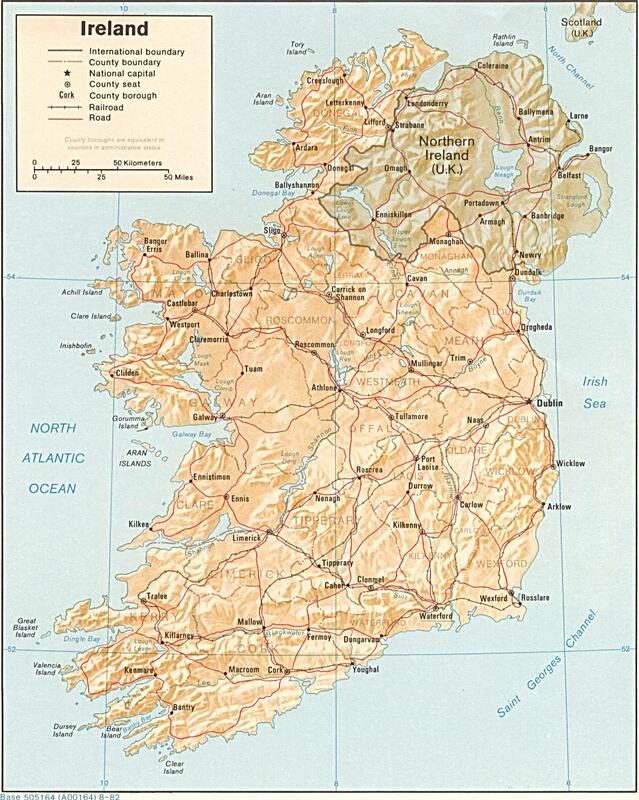 "Down, a county of Ireland, in Ulster, 42 m. long and 34 broad; bounded E by the Irish sea, W by Armagh, NW by Antrim, and S by Carlingford bay and the ocean; divided into 60 parishes, and sends 4 members to parliament. It is in general fertile; has numerous bleach-greens; and in the rough parts many horses are bred. Copper and lead are found; also a black marble susceptible of a high polish, slate, coal, freestone, and crystals. Pop. 329,348. Chief rivers, Lagan and Newry." Scotch Irish Pioneers in Ulster and America by Charles Knowles Bolton (1910) from OpenLibrary, including hometowns of Co Down families in appendix VI..
Irish Times - County Down Genealogical Resources - historical information on the county, census records, gravestone inscriptions and other genealogical data. IrlGenWeb: County Down - World GenWeb County Down website containing information on the county as well as birth, death, marriage and baptismal records. Raymond's County Down Website - Records, photos and alot of information on some of the parish areas within the county. Maps of Counties & Towns - this is a commercial site offering Irish Townland Ordnance Survey map reproductions for sale (survey dates 1829 to 1843). Seanchas Dhroim Mor (annual), Very Reverend B. Treanor, P.P.